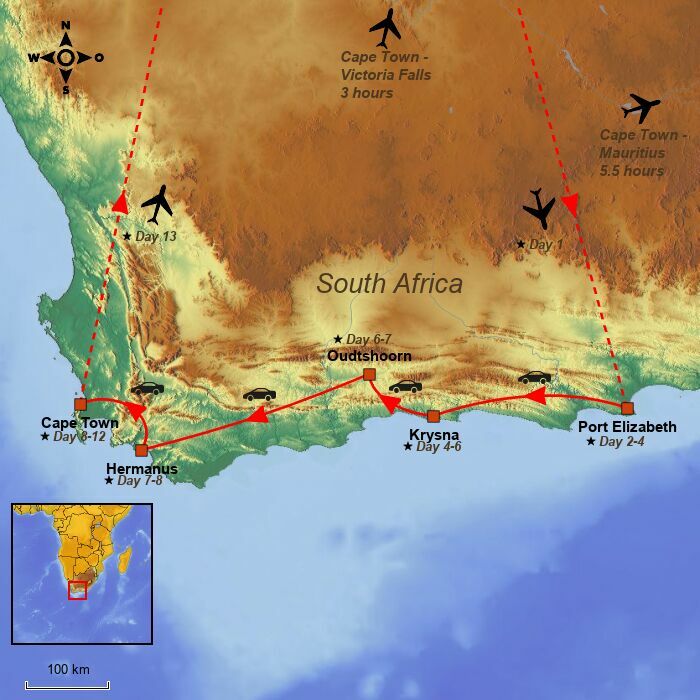 Garden Route South Africa - See 13-day self-drive tour itinerary here! There is more to South Africa than safari! 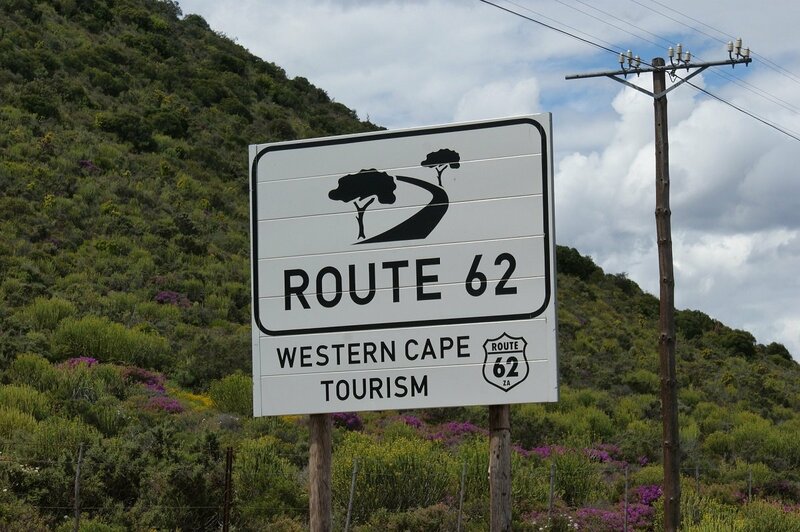 Enjoy the freedom and beautiful scenery on this self-drive tour along the famous Garden Route. You finish up in Cape Town with time for experiences. There is so much more to South Africa than safari alone. There is good reason for the country’s nickname “A World in one country”. 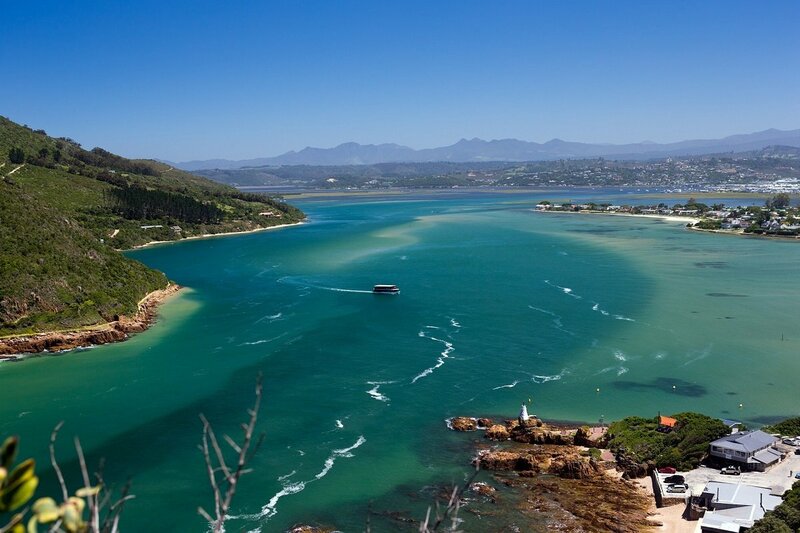 In the southernmost part of the country lies the world-famous coastline, The Garden Route. The stretch is ideal for a self-drive holiday, and that’s exactly what you’re going to do on this tour. In your own rented car, you explore the beautiful countryside, walk in the mountains, enjoy the view of the many lagoons, taste the good local food and find out why this area is so highly prized by all who visit it. The entire area boasts a pleasant, mild climate. In the winter, the temperature rarely drops below 10 degrees, and in the summer, it is almost never higher than 28 degrees. The rain falls evenly throughout the year, contributing to the lushness. It is difficult to say whether the highlight of the tour is the ostrich farms in Oudtshoorn, the whales in Hermanus or the penguins at Betty’s Bay. Perhaps the contrasts between the roaring Indian Ocean and the beautiful mountain landscapes of Klein Karoo, which take your breath away. We don’t doubt for a second that you’ll enjoy a veritable pallet of experiences. 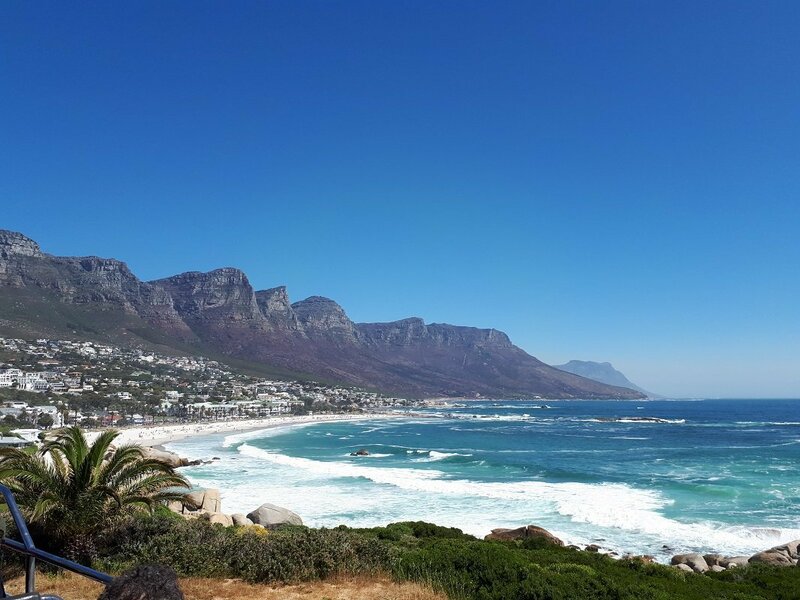 The tour rounds off with a couple of days in the magnificent city of Cape Town, and the tour can be extended with a trip to Victoria Falls – or perhaps a beach holiday in Mauritius. 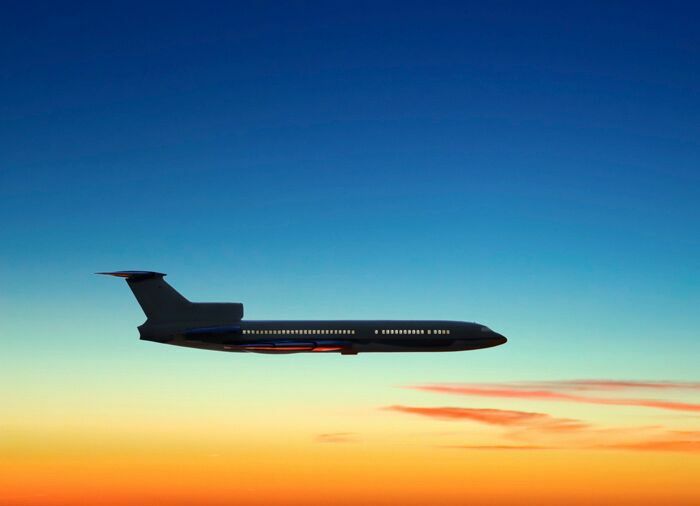 Today, you leave the UK and head to South Africa with stopover(s) on the way. After your arrival at Port Elizabeth Airport, you go through immigration, pick up your luggage and continue through customs. 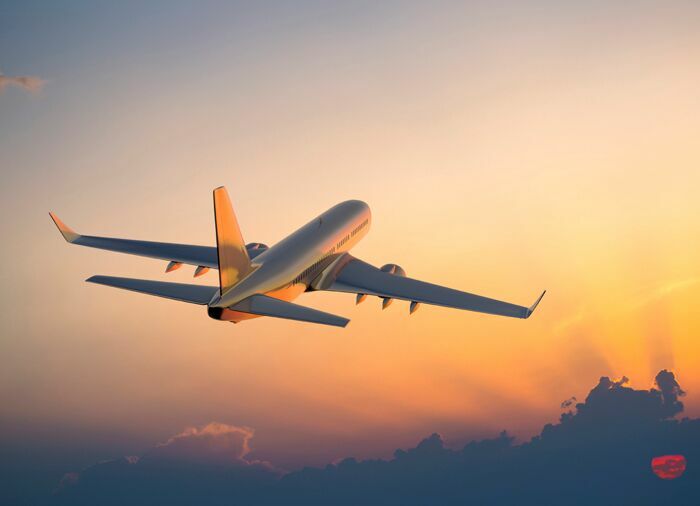 At the airport, you will also pick up your Nelson Mandela Bay Pass, which is a sightseeing pass offering favourable discounts that you can make use of over the coming week. The pass will be waiting for you at Mandela Bay Tourism Information office, which you will find in the arrivals hall. You then pick up your car from the rental company and set course for your hotel. You spend the first two nights in Port Elizabeth. 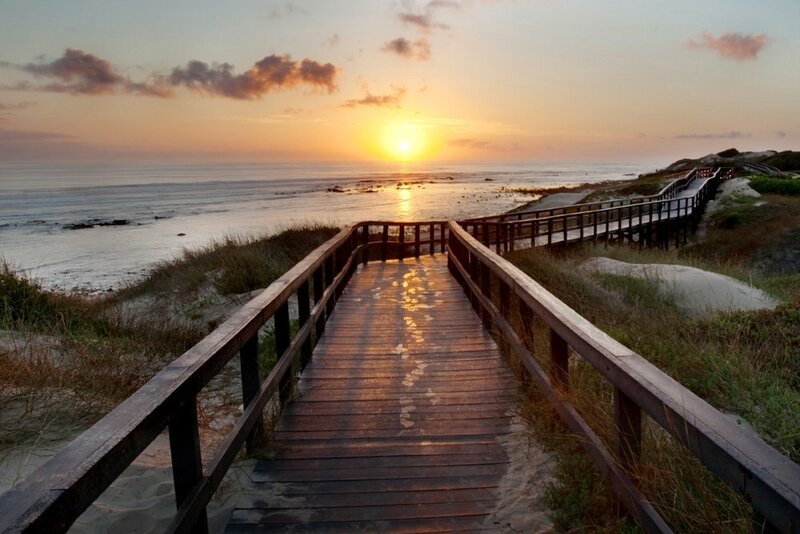 You have the day to explore the area around Port Elizabeth, South Africa’s fifth largest city. PE, as the city is popularly referred to, is not all that interesting in itself, but the area offers plenty of activities for young and old alike. 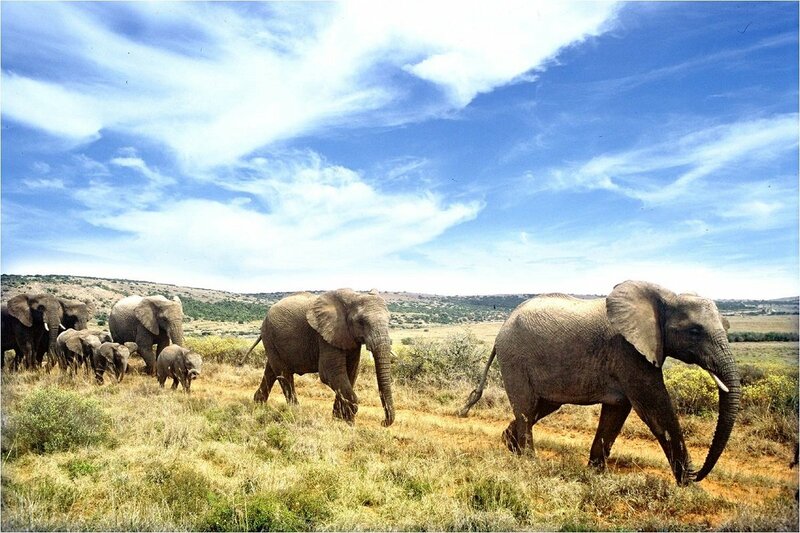 You might, for example, like to drive to Addo Elephant National Park, around a 30-minute drive north of the city. Your Nelson Mandela Bay Pass gives you free admission to the park, but you should book your visit the day before (you can do this at the office at the airport when you pick up your passport). In Addo, you can go on a “game drive” in your own rented car. It is also possible to book guided game drives for an additional fee. Besides elephants, you might be lucky enough to see lions, buffaloes, hippos– and maybe even a leopard. You can also drive to the beach and jump in the waves – or find a good viewpoint from which you might be lucky enough to spot the dolphins which often swim close to the coast. Your Nelson Mandela Bay Pass also gives you free admission or reduced admission to a number of sights and attractions. Today, your South African self-drive adventure begins in earnest. From Port Elizabeth, you head west. The final goal, in five days time, is Cape Town, but an ocean of experiences along the world-famous coastline, the Garden Route, awaits you first. It’s about 800 km from Port Elizabeth to Cape Town, but in fact, just 300 km between Mossel Bay and Storms River, officially referred to as ͞The Garden Route. To the north are the Outeniqua and Tsitsikamma mountain ranges with their phenomenal hiking routes, and to the south, the waves of the Indian Ocean roar towards the coast. The Garden Route is not, as you might think, named after the neatly landscaped scenery or raft of corn fields, rows of carrots and courgette plantations. The nickname ͞The Garden Route is simply the result of a highly effective marketing campaign. With its great biodiversity, green woodland, long white sandy beaches, protected lagoons with rich wildlife, and cosy little towns with their own distinctive character, the nickname is, however, quite fitting. The contrasts are large, the distances relatively small, and the area is ideal for nature lovers and self-drive enthusiasts. On today’s route, you can choose to make a stop at Jeffrey’s Bay, which attracts surfers from all over the world, who flock to its amazing beach. Another option is a detour to St. Francis Bay, a picturesque little town with pleasant canals. There are not all that many tourists here, and the lighthouse, Seal Point Lighthouse, is extremely photogenic. 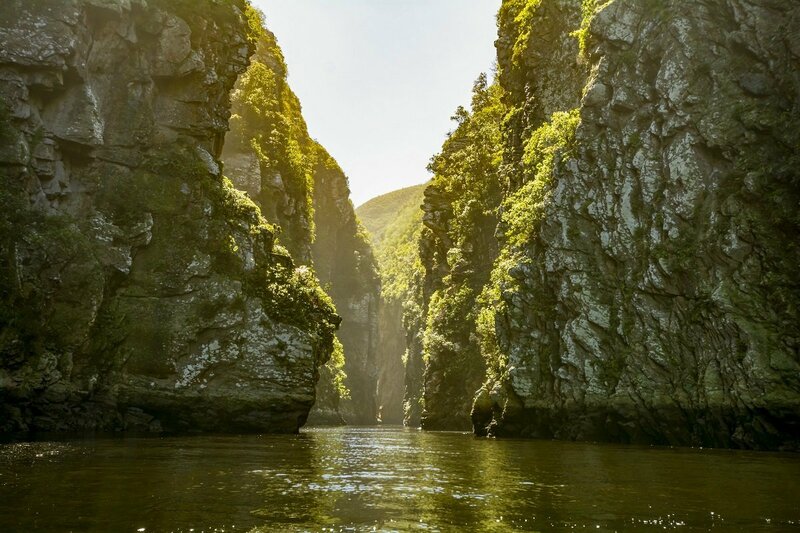 Not long after Storms River, the official start to the Garden Route, you can make a stop at Tsitsikamma National Park. Here, you will find a good selection of walks, long and short, that take you closer to the tall yellowwood trees. 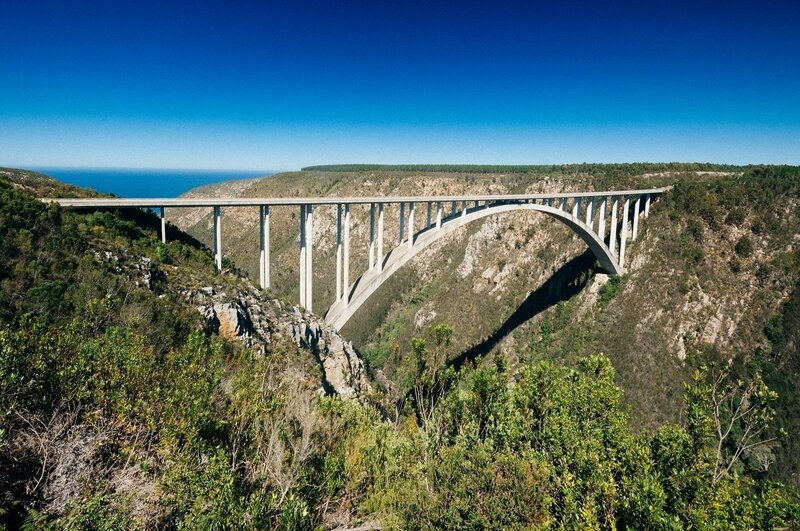 Not far from here is Bloukrans Bridge, the world’s highest bungy jumping bridge, and just the sight of the brave jumpers is enough to take most people’s breath away! This is also where you cross the border from Eastern Cape province and drive into Western Cape. Half an hour’s drive east of Knysna lies Plettenberg Bay, which is commonly referred to as ͞Plett. Enjoy a cup of coffee at one of the town’s many cosy cafés before heading to Knysna. The day is spent at your leisure in Knysna. 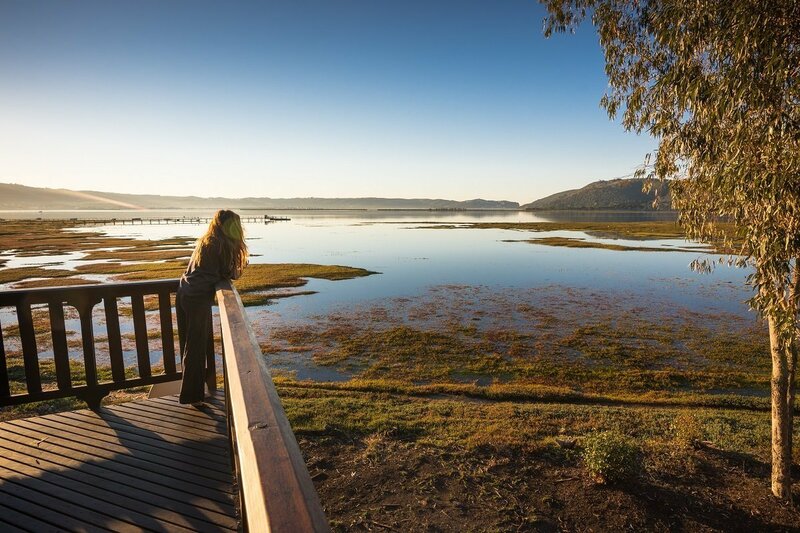 If you wish, you can go for a boat ride on the lagoon and visit the Featherbed Nature Reserve, or perhaps visit Knysna Elephant Park, where homeless elephants are taken care of. You should also remember to drive out to ͞The Heads and enjoy the beautiful view of the entrance to the lagoon. 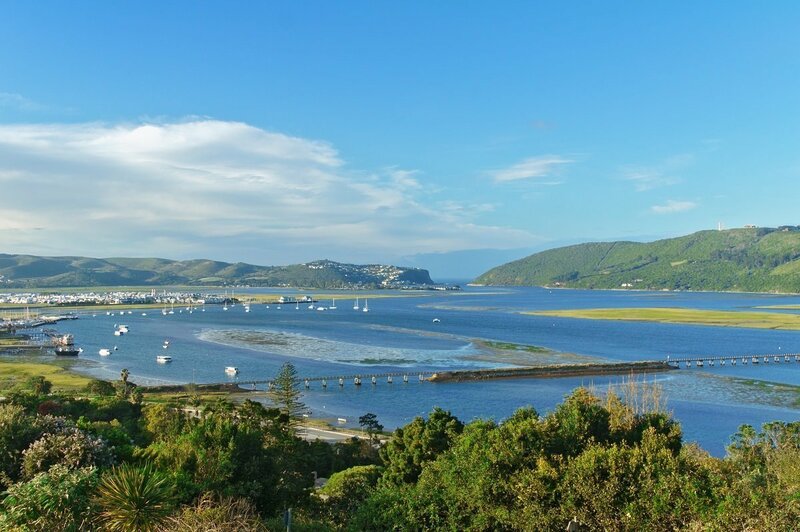 Knysna is a pleasant town, so you will probably also want to spend some of the day having a stroll and a cup of coffee as you watch local life go by. You decide. We recommend leaving Knysna in the morning today to give you the afternoon in Oudtshoorn. From Knysna, you drive through George and north on the N12 to Oudtshoorn: You drive straight through the Outeniqua Pass, which is 800 metres high. You are now in an area called ͞Klein Karoo, which consists primarily of semidesert and small villages surrounded by farmland. The scenery stands in stark contrast to the rolling hills, roaring waves and blue lagoons around the coast. The main town in Klein Karoo is Oudtshoorn, the world’s ostrich capital. Wherever you go, there are ostrich farms, and all restaurants offer ostrich meat – which is also considered to be some of the healthiest meat in the world, as the fat content is almost zero. 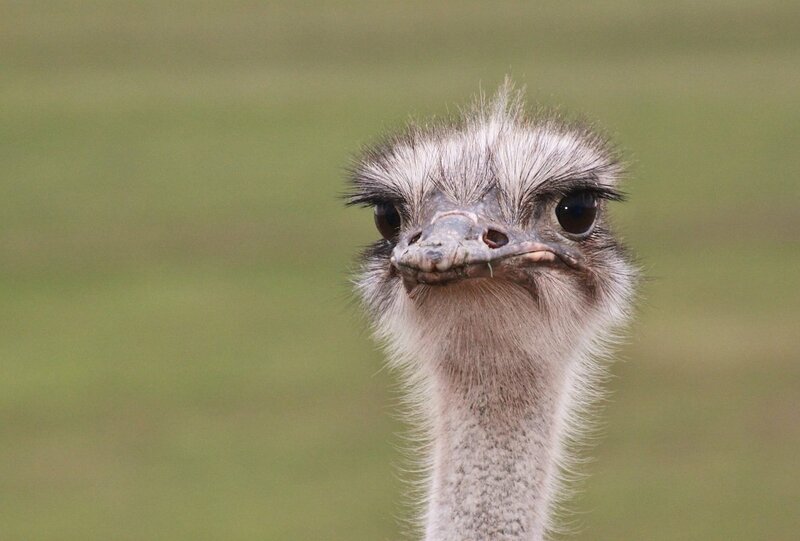 It makes perfect sense to visit an ostrich farm while you are here. Another major attraction is the beautiful dripstone caves, Cango Caves, located a little outside the town. You stay in the town for one night. If you feel like sampling ostrich meat, this is the place to do it –and almost all the local restaurants have it on the menu. You say goodbye to Oudtshoorn and the ostriches and continue your drive along the R62, also known as the world’s longest wine route. The area around Calitzdorp is especially famous for its excellent port. The dry, warm climate gives the port more depth and intensity, and you are also recommended to visit a vineyard and learn more about the production of port. 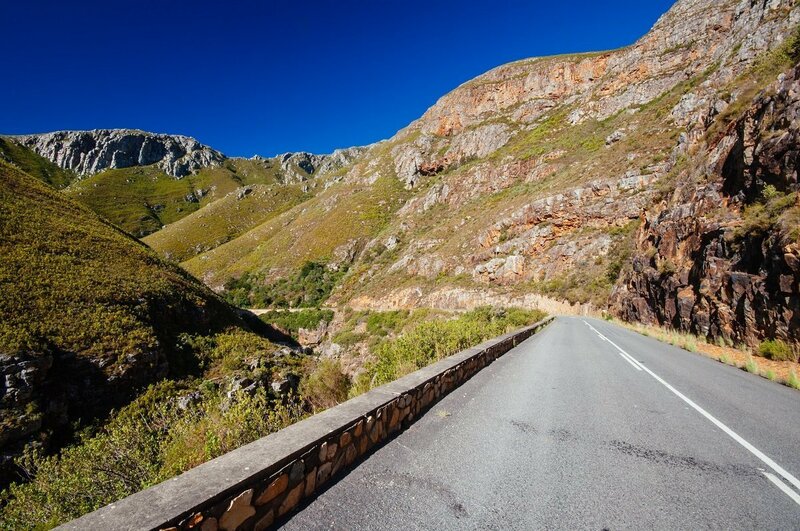 Give yourself plenty of time to enjoy the scenic Tradouw Pass in the Langeberg Mountains. You might like to stop for lunch in Swellendam and enjoy the beautiful, unique Dutch-style houses. 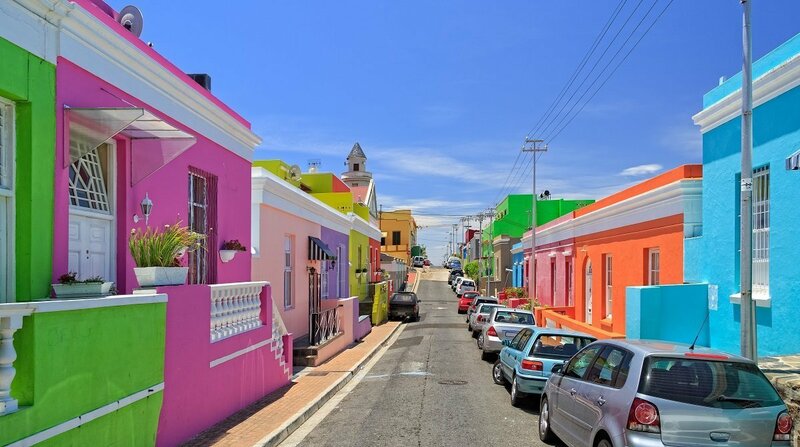 From Swellendam, it’s around a 1½-hour drive to South Africa’s whale capital, Hermanus, which is your goal for today. Here you spend a single night. If time allows, you can take a small detour from Swellendam to Hermanus. 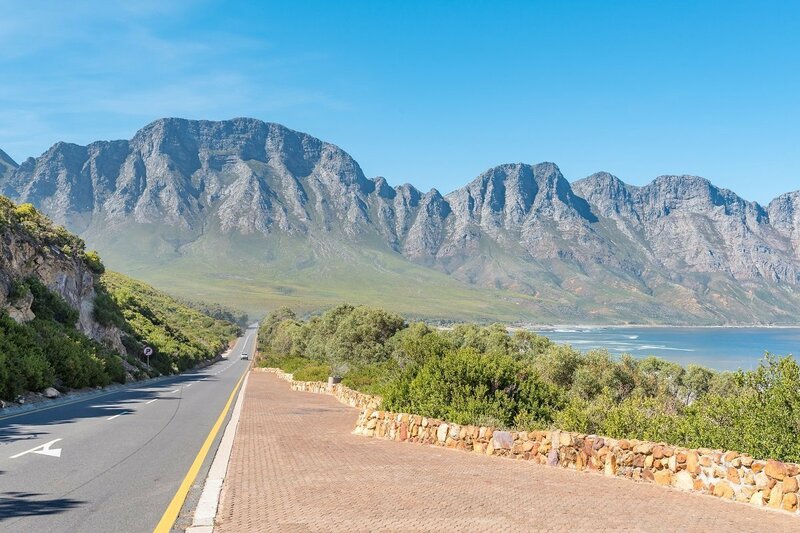 If you choose this route, you have around a 2½-hour drive from Swellendam to Hermanus. From Swellendam, you drive to Bredasdorp along the R319 and then take the R43 down to the coast, where you can enjoy the beautiful scenery. Pearly Beach is reputed to have the longest beach in the entire Western Cape. 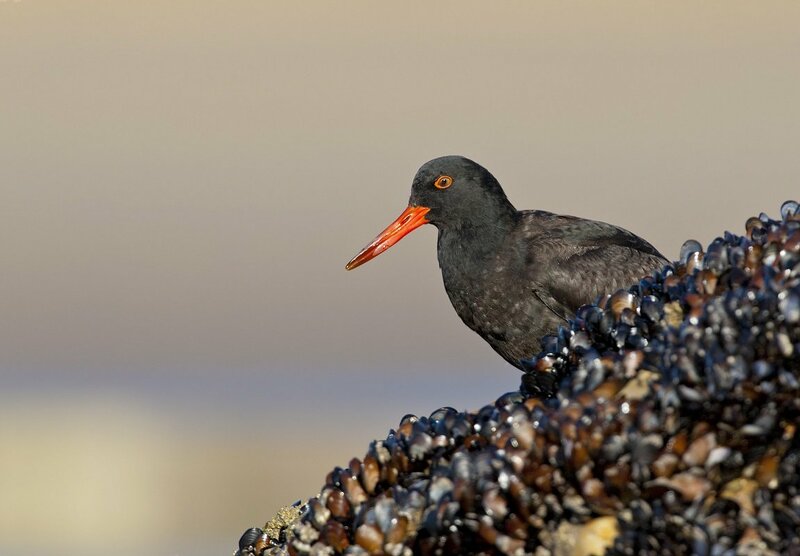 The African oystercatcher often nests by the beach, and there are generally a lot of birds here. 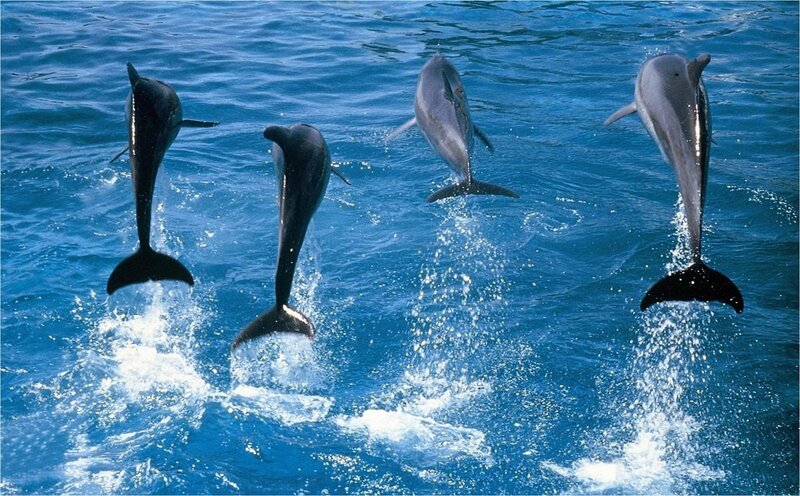 If you are lucky, you might see dolphins in the bay. Next to Pearly Beach are Dyer Island and Geyser Island. The small stretch between the two islands is known as shark strait. Large colonies of seals live on the small islands, and the water around the islands and the strait between them is therefore an all-you-can-eat buffet for the big white shark. A little further north-west, you come to Gansbaai, and you are now in the Walker Bay area. 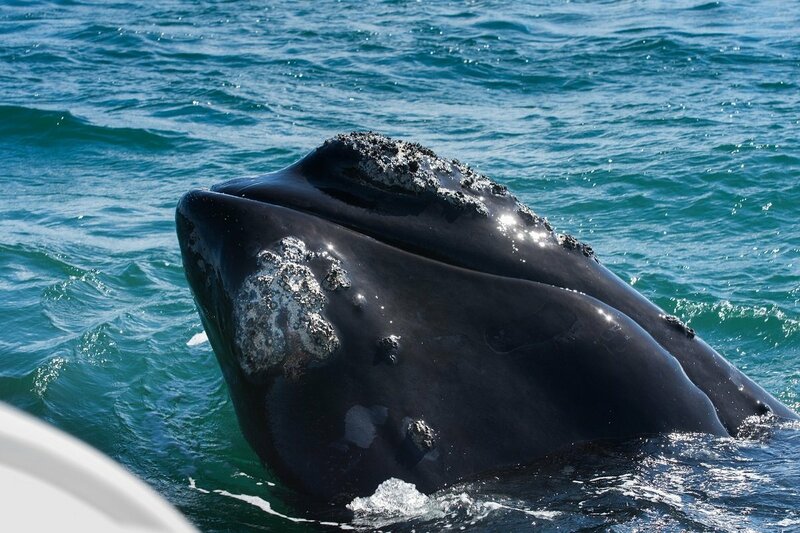 Every year between June and December (or thereabouts), Walker Bay becomes home to hundreds of southern right whales, who enjoy the calm waters of the bay to breed and then raise their small calves. 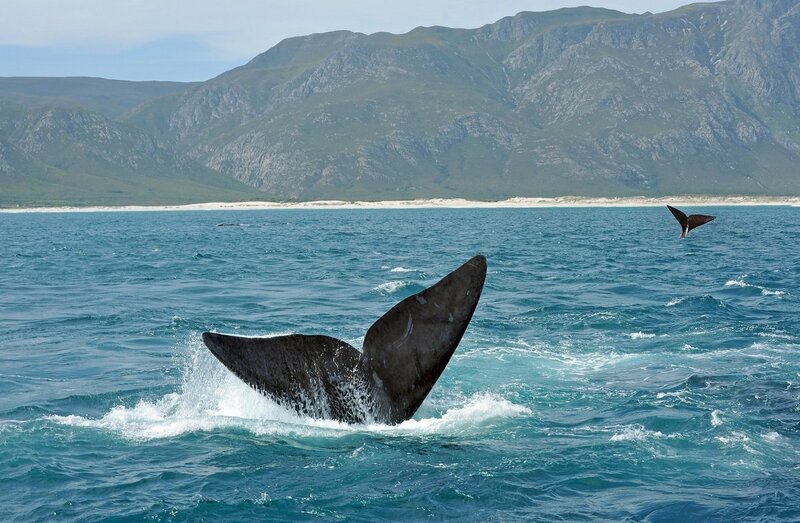 Walker Bay is considered to be one of the very best places in the world to go whale watching – without even having to take to the water! From the coast, you have a wonderful view of the playful little whales and the relaxed adult whales enjoying the bountiful supply of food. They like jump and splash about, and you’d have to be really unlucky not to see a couple of whales swimming right in to the coast. Sometimes they even venture all the way into the harbour at Hermanus. 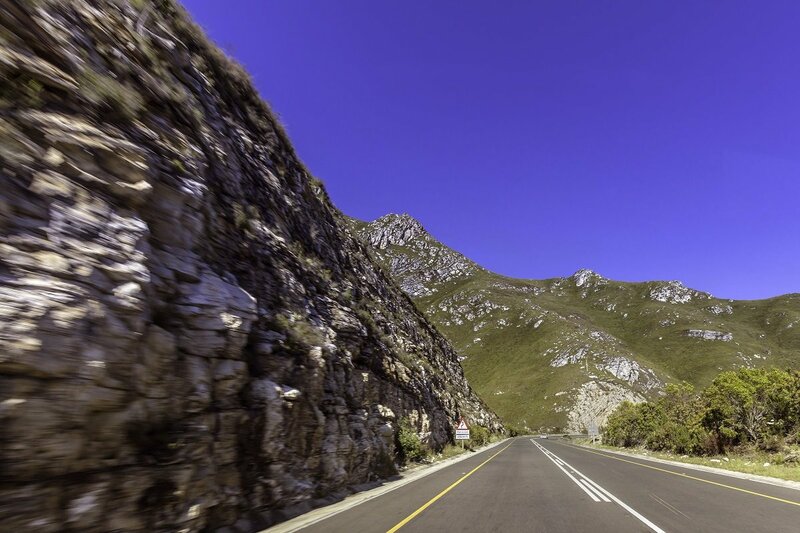 It is about 120 km from Hermanus to Cape Town as the crow flies, and the drive will take you about 1½ hours. As always, however, we recommend that you take the less direct route, and enjoy the beautiful scenery and sights along the way instead. 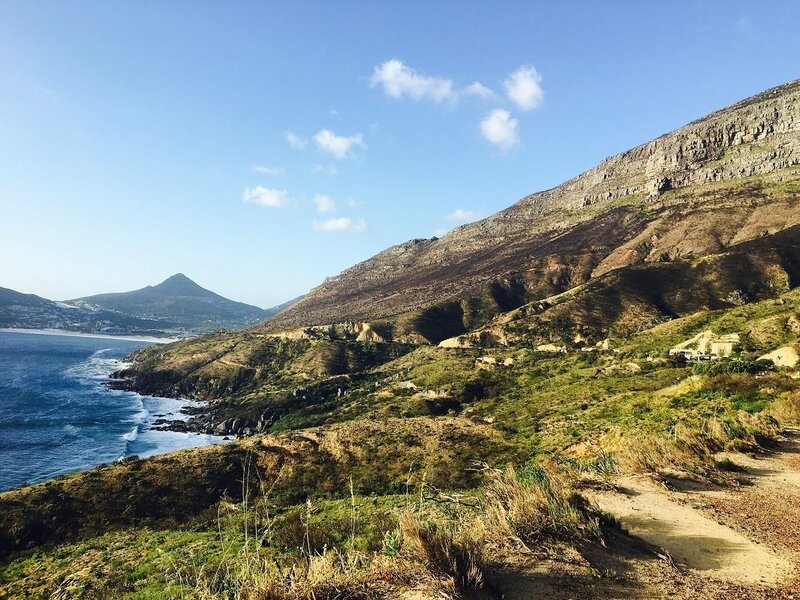 The coastal route takes you south of the Kogelberg Nature Reserve, known for its many walks and its vast biodiversity. 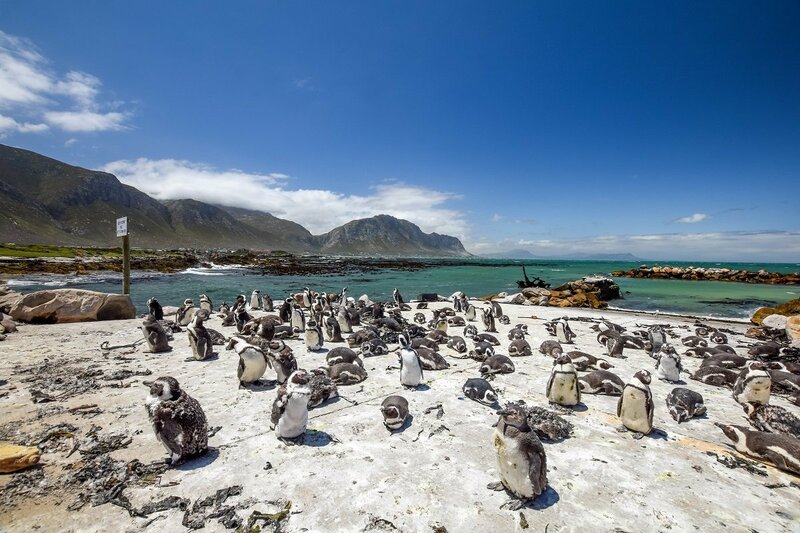 Betty’s Bay is home to a large penguin colony, and Gordon’s Bay is the perfect place for a lunch break. There are good facilities at Bikini Beach, so you might even want to go for a dip in the waves after the morning’s drive? From Gordon’s Bay, you have a good hour’s drive to Cape Town, where you hand back your car and check in at your hotel for the next four nights. 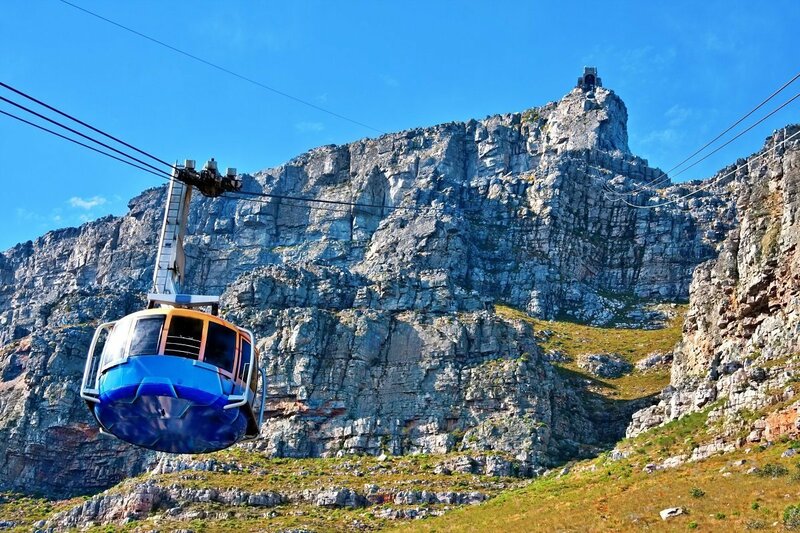 Cape Town is located at the foot of the beautiful famous Table Mountain, from which you can enjoy the view of the Cape of Good Hope, wine country and the dark blue Atlantic Ocean with Nelson Mandela’s prison island, Robben Island. 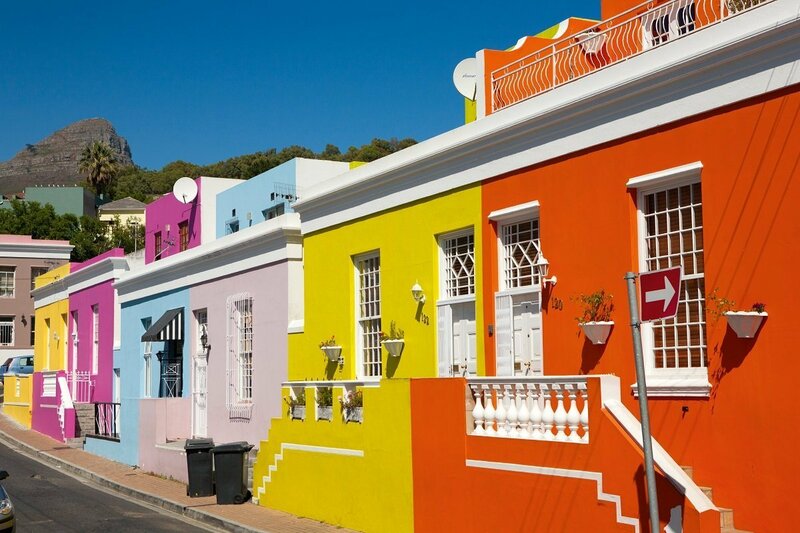 Cape Town also offers a host of historical sights and buildings as well as museums and good restaurants. Below is a selection of optional tours. The tours can be booked now if you wish. You will be picked up and driven to Cape Town International Airport, from which you will fly home to the UK with stopover(s) on the way. You land in the UK after a wonderful holiday bursting with experiences. 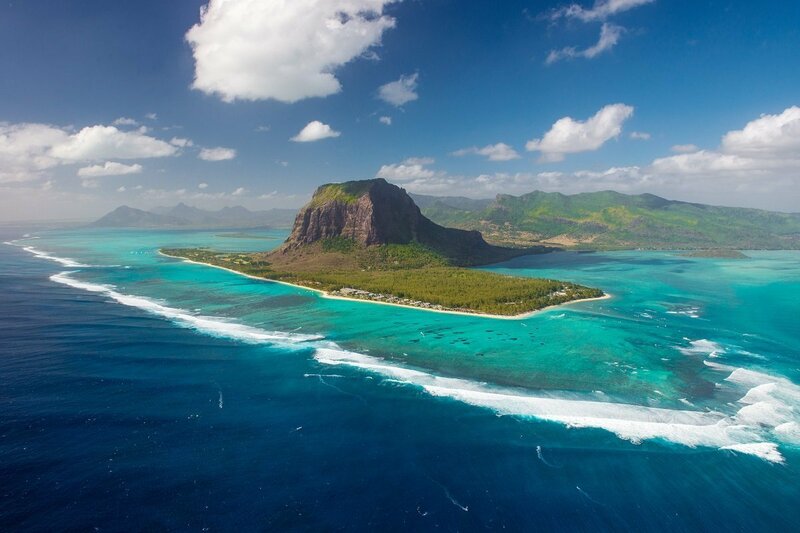 The tropical island of Mauritius is one of the most exclusive and fascinating islands in the Indian Ocean. With its delightful climate and friendly population, this little slice of paradise is the perfect setting for an exotic holiday. The island is typically associated with relaxation and romance, but it is also ideal for everyone who loves gastronomic treats, water sports and beautiful countryside. 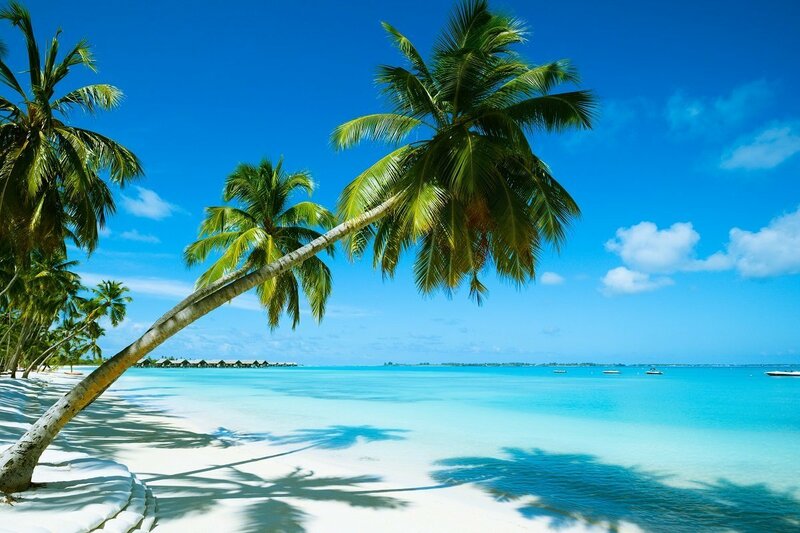 Mauritius is ringed with beautiful beaches lined with swaying palm trees, crystal clear water and brightly coloured coral reefs. The landscape features lush forests, fields of sugar cane, tall mountains, roaring waterfalls and dramatic stretches of coast dotted with small lagoons. The capital, Port Louis, is home to a variety of fine shops and fascinating museums. 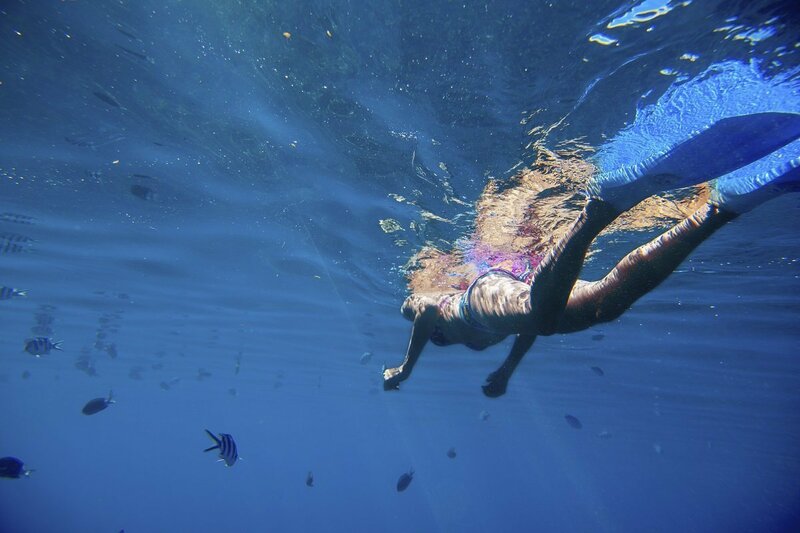 The days on Mauritius are yours to do with as you wish. The stay includes half board. 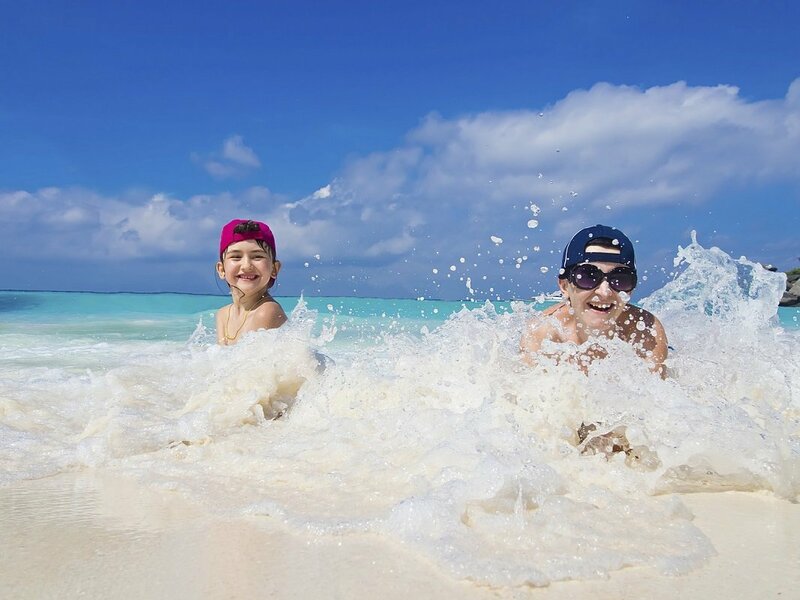 The tropical island of Mauritius is one of the most fascinating islands in the Indian Ocean and an absolute gem if you are travelling with children. The climate is pleasant all year round, and the local people are remarkably friendly and accommodating. 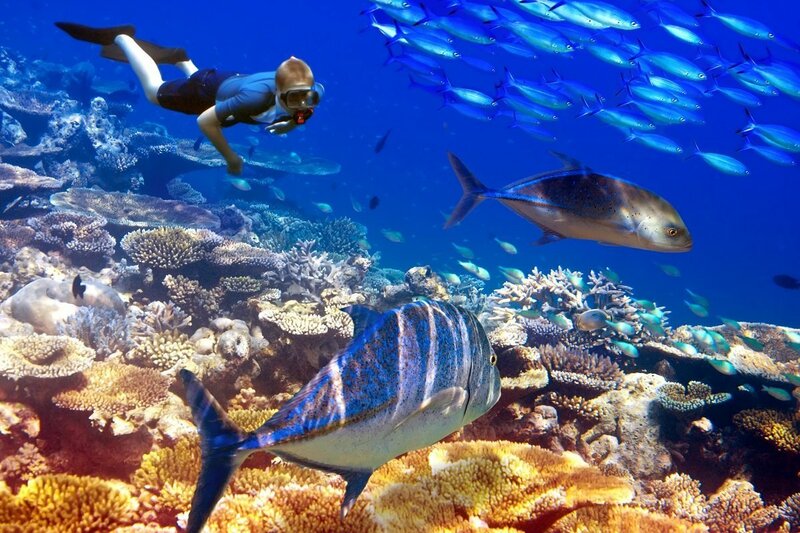 The island is surrounded by crystal clear water and beautiful, child-friendly beaches that are protected by a brightly coloured coral reef – making this the perfect place to go snorkelling. Mauritius is blessed with magnificent countryside featuring lush forests, small lagoons and waterfalls that crash down the mountainsides. The island is ideal for all the family, and there are all kinds of things to see and do both on land and on the water. 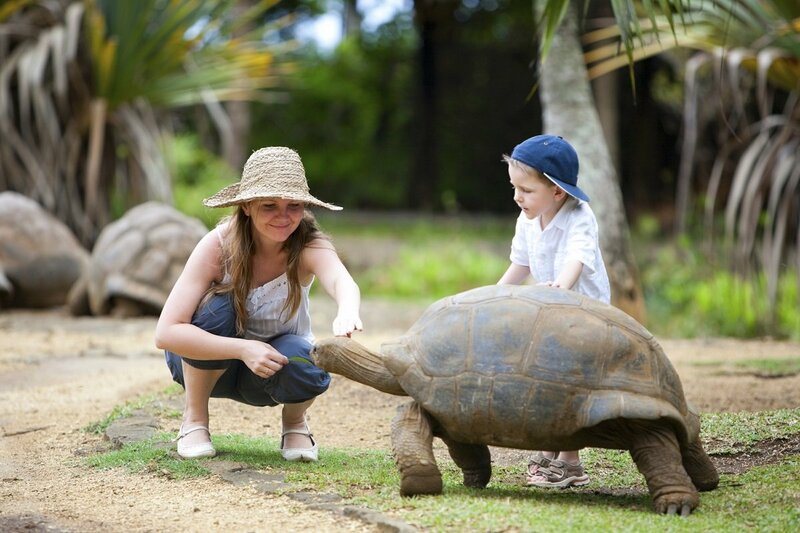 For example, just 8 km from Flic-en-Flac beach, you will find Casela Nature Park, where you can see giant tortoises, zebras, lions, giraffes, apes and 1,500 birds. You can also try riding a Segway, walk along rope bridges and much more besides. 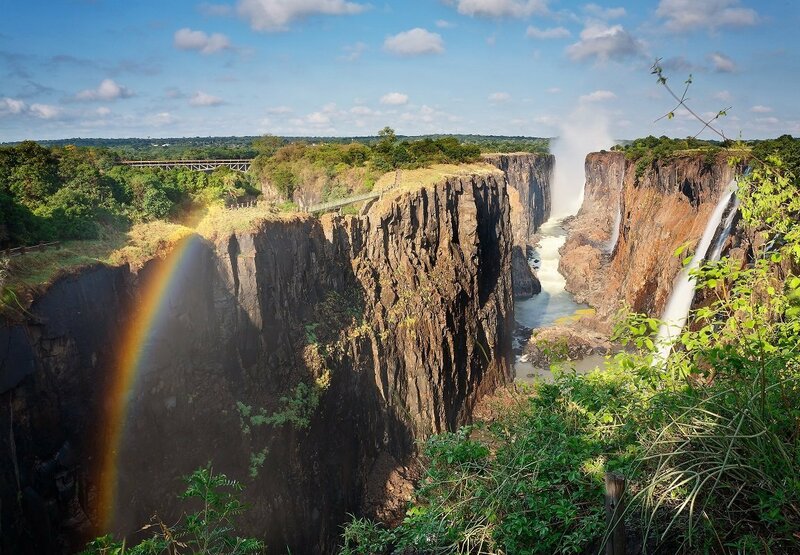 Victoria Falls is considered one of the world’s most spectacular waterfalls. The waterfall is not only one of the most dramatic and impressive natural wonders around, it is also set within a fabulous location surrounded by the tropical landscape of Africa. 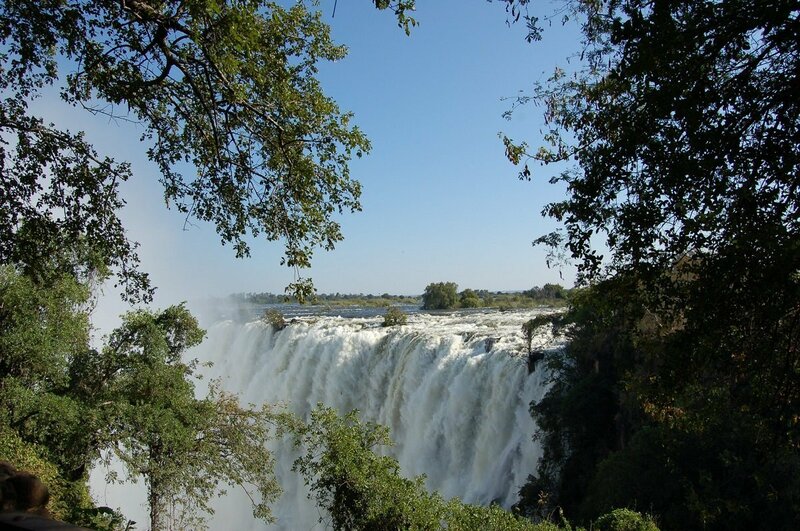 The days at Victoria Falls are at your own leisure. 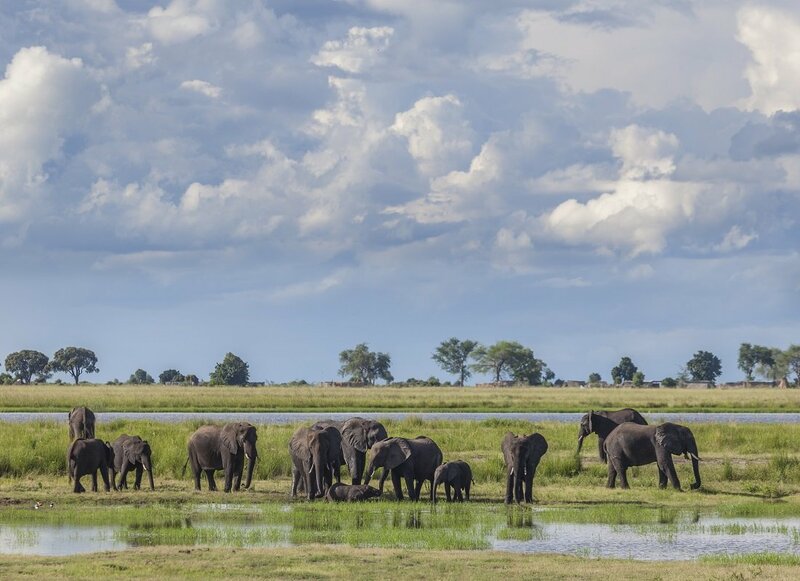 For an elephant guarantee, head to Chobe National Park in Botswana. Here you will find the largest concentration of elephants on the entire African continent. At least 50,000 elephants live here – some say there are as many as 120,000. You can also see large flocks of buffalo, gnus, zebras, antelopes, lions, hippos, crocodiles and rich bird life including storks, bee-eaters and vultures. You can often see hyenas, leopards or rare wild dogs too. It is not without reason that Botswana was named the best safari country in all of Africa! Chobe National Park offers unique and varied safari experiences with both traditional game drives and countless activities on the life-giving Chobe river. 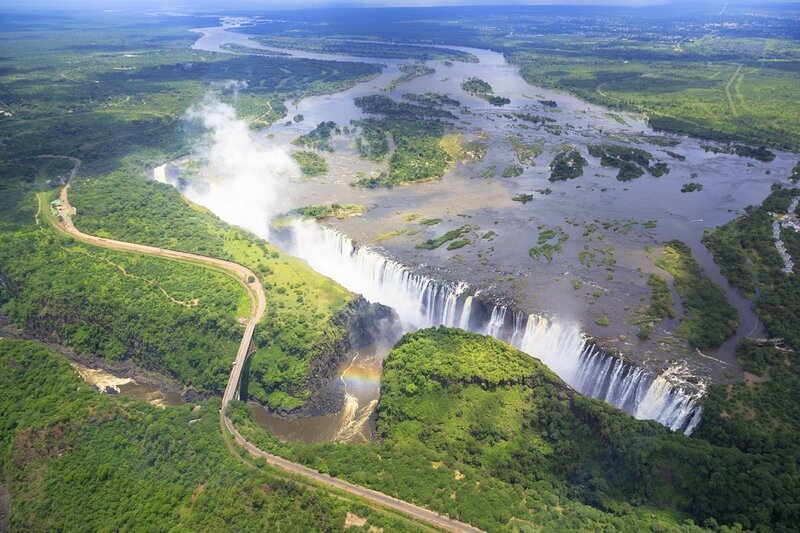 This 4-day safari extension to Chobe offers the best of both worlds on land and on water, and we have even added a spare day to the programme, for which you can purchase tours such as a trip to the mighty Victoria Falls, an extra river boat trip, or several game drives. 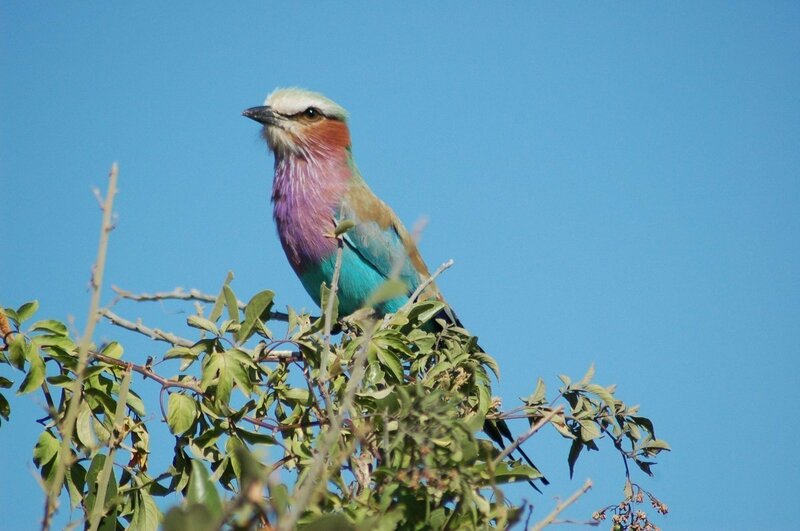 A unique opportunity to experience Botswana, now that you’ve come all the way to Africa!